Modern people are more mobile than ever! We are keen on travelling and looking for new places to have a cup of coffee, buy groceries or just hang out. However, sometimes we may get lost or just don’t know where to go and what is the shortest way to our destination. Luckily for us, we can always stay on track with help of the navigations app! But there occurs another issue. What are the best free navigation apps? Many developers all over the world have spent sleepless nights to create a navigation app that will perfectly match users’ expectations. You may think there is no difference which one to use since they all perform only one main function – helping users find the shortest and fastest way to their destination. However, it’s correct in general, but incorrect in particular. Each app has its own lineament and tries to fit users’ needs better than competitors do. How to choose the most convenient and useful one? Read on the 5 best Android navigation apps list by Stormotion team and find it out! The app was exclusively created by Google over a decade ago and was officially launched in 2007. During this time, the company has never abandoned this project, constantly adjusting it to the users’ requests. 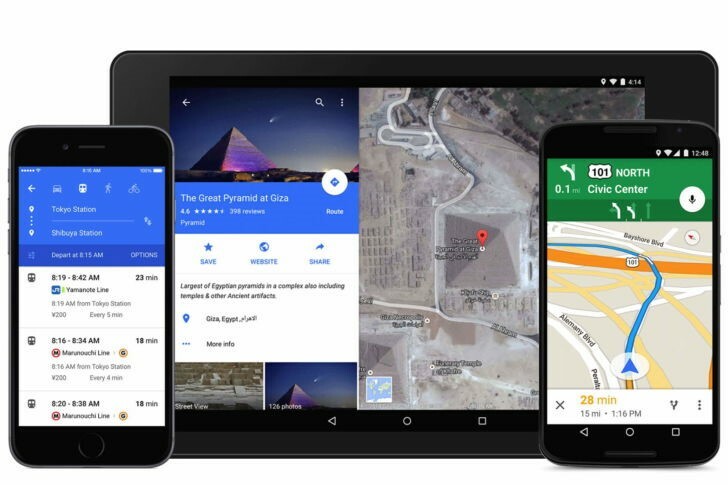 Now Google Maps is the absolute leader among navigation apps for Android. It has the highest number of downloads – more than 1 billion! This popularity is completely tenable: the app has the user-friendly and intuitive interface, it’s quite accurate and easy to use. GPS system of Google Maps provides users with the highly detailed information on driving options and traffic dynamics. Some users complain that the app sometimes is slow to load. The app is multifunctional – it helps to build driving routes as well as pedestrian and ones that include the use of public transport. Google Maps doesn’t gather the up-to-the-minute data on unusual conditions (like damaged by a bad weather roads or construction works). Google Maps allows users to download maps of particular areas (up to 120,000 square km) for offline access. Occasionally, the app faces the lack of accuracy and may lead you the wrong route that won’t take you to the destination. 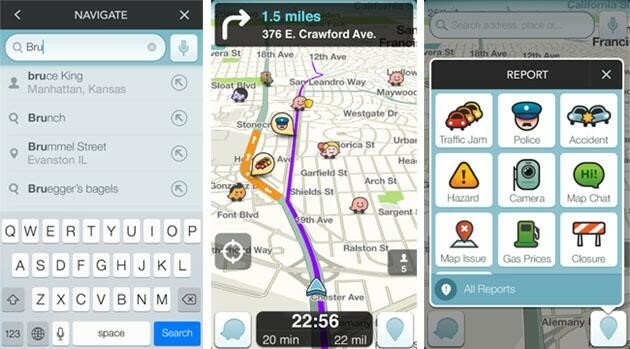 Waze is the navigation app-phenomenon that shook the mobile market back at the beginning of the 2010s. The best confirmation of this statement is the fact that in 2013 Google bought Waze for $1.3 billion and integrated some of its functions into Google Maps. Why is it so notable? Because Waze is the most successful and popular community-driven app. It means the app gathers real-time data from open sources by analyzing Waze users’ behavior and their reports regarding traffic jams, accidents, road repairing and other circumstances that may cause troubles while you drive. Waze is also known for its add-ons, which make the driving process easier and more comfortable. For example, you can integrate your Facebook and Foursquare friends to Waze or get the latest information on gasoline prices along your route. It offers up-to-date and real-time data about traffic and routes from the drivers just like you. In the area with a little drivers’ activity, the app literally loses its meaning. App has a wide range of cool add-ons, and the most of them can be really helpful. In the area with a high drivers’ activity, the app may display too many icons and distract you from driving. Catchy, bright and fresh app’s design is another reason why many people prefer this app to other. Waze consumes a big amount of battery power as it works constantly (even when it’s not navigating you) and collects data from other drivers. 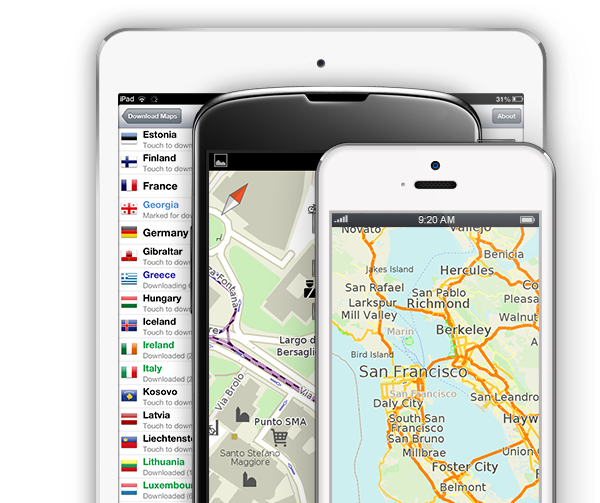 Maps.Me is another example of a convenient and free navigation app. However, it’s quite different from Google Maps and Waze that we have already reviewed. The key idea behind Maps.Me is to provide users with offline navigation. After installing the app, you will be offered to download the map of your country or city and then use it whenever you want even without any mobile internet or wi-fi access. Moreover, there are some additional features available for Maps.Me users. For example, you can use “search” function or bookmark routes for the future trips. The app also has the utter list of places of interest, which is extremely helpful in the urban environment. Unlike many offline maps, the app is completely free. Since it offline map, it won’t provide you with real-time traffic information. Turn-by-turn directions are available just like the list of nearby places of interest (Wi-Fi spots, WC and others). Some users say the app works very slowly due to the big offline database. Maps.Me is suitable not only for drivers – along with the car routes app includes walking and cycling navigation. In the developing countries Maps.Me may perform poor detalization. 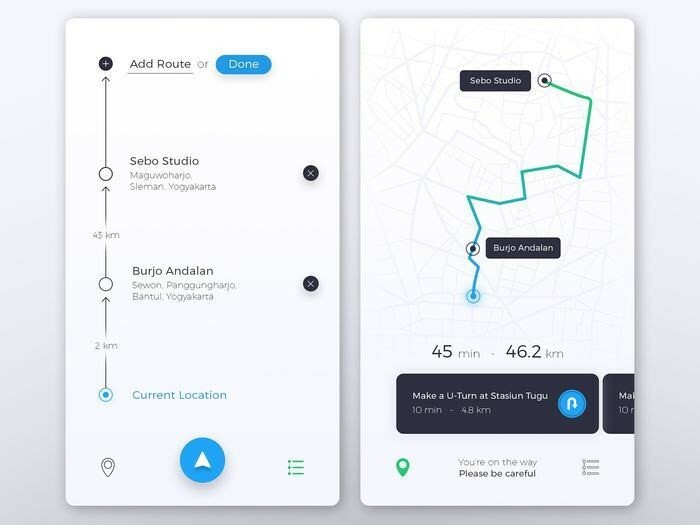 This navigation app for Android successfully combines online real-time tracking with the possibility to download maps for the offline usage as well. Moreover, Sygic app has several interesting features that divide this app from others and make it unique. For example, it provides drivers with information about lane traffics, speed limits, the cheapest gasoline in the area and parking spots. Accurate address data (app’s navigation is based on Tom Tom map data, which is often utilized by emergency and governmental services). Some users complain the app works slowly in the offline mode. Almost perfect 3D navigation with a realistic view of buildings, hills and other surroundings is also one of well-known app’s features. Despite the app is free to download, so as to get the full experience you should pay for a range of additional features. Sygic app also has a helpful lane guidance feature that makes lane maneuvering safer than ever. Some features are also unavailable for the offline usage. Navigon positions itself as the field leader. The app is not free, however, developers promise to provide you with the comprehensive interface, precise navigation and a broad diversity of useful features. Navigon takes the best industry practices and combines them in one app. Just like Sygic app, it allows drivers to build routes in the real time and download maps for offline navigation. Navigon offers good functionality, comprehensive searching process and accurate navigation. Navigon is one of the most expensive apps in its category (you can get unlimited access for 79,99 € if you live in Europe and for 59,99 € if you live in the North American region). The app allows you to download offline maps with marked places of interest on it. The app has a specific design, which sometimes may seem clunky and distract you from driving. Navigon app has several useful features (like choosing the most appropriate route out of suggested variants or convenient voice instructions). App’s data takes a great deal of your smartphone’s storage space and can discharge the battery quickly enough. 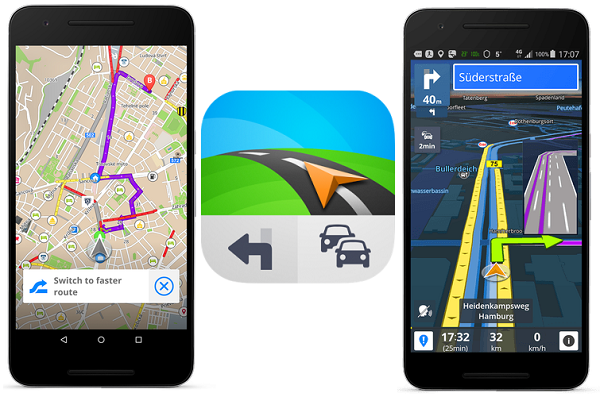 Finally, we have successfully reviewed 5 excellent navigation apps for Android users. As you could see, they are quite different and each has its own advantages and disadvantages. This diversity is exactly the reason why they managed to attract fans and remain popular for months and years. Stormotion team tried to choose the best examples from each category. Which one exactly you should choose depends on your requests, needed features, free (or not free) access to the internet and other factors. However, one thing is absolutely clear right now: by choosing one of mentioned above apps you will successfully reach your destination point!